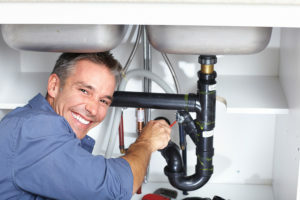 One of the biggest complaints that most North Hollywood, CA property owners have is that they struggle to find reliable plumbers when they are needed. Call us 24 hours a day, 7 days a week at (323) 745-2839 for all of your plumbing needs – whether emergency or not. We have a team of plumbing experts on hand in our company who will not only arrive at your property on time; they also have the necessary knowledge and experience to ensure that any repairs or installations of new products are performed correctly. Properties that are more than 10 to 15 years old will usually require plumbing repairs in the form of replacement water heaters. These devices are expensive and can cause a substantial amount of damage if they are not installed properly. In many cases, home insurance companies will not pay out claims for water damage caused by water heaters if they have not been installed by an experienced and registered North Hollywood plumbing company either. Each plumber who works for us is able to perform this task correctly. Water leaks that go undetected can cost property owners thousands of dollars over the course of a few months. When a North Hollywood plumber from our company is called out to perform leak detection services, the job is done as efficiently as possible. Unlike many other plumbing companies, we also have the correct type of equipment to detect a slab leak – regardless of how small it may be at the time. Our plumbing contractors are able to perform extensive drain cleaning and repair services as well, ensuring that the water supply on your property remains as sanitary and safe as possible. As most property owners know, a plumbing emergency will usually not happen at the most convenient time of day. This is why we are proud to be able to offer emergency plumbing North Hollywood customers can trust for quality service at a fair price. Regardless of whether you may have a blocked drain, clogged toilet or a burst water pipe causing damage to your property, we will be able to get issues like these sorted at virtually any time of the day or night – even over weekends and during holiday periods. 24 Hour North Hollywood Plumbers | Schedule an Appointment Today!